The model dame slid into my office. She looked like a million bucks, dressed to the nines, from the top of her head to down to her daintily shod toes. She had a long run in her stockings, which just served to accentuate her gams. She had the self-assured air of a woman who knows she can wear anything, and look good. A slight case of hat head told me she’d lost her chapeau on the way over, but with the way everything below that cowlick looked, who could complain. She said she needed help, wanted to prove her innocence in the whole Awkward Affair. 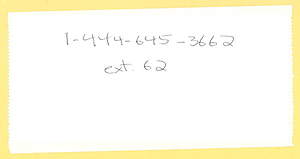 She scribbled her phone number on a piece of paper and slid it across my desk. Once I had the digits, I knew I was in position to make all the right moves.